CBSE UGC NET 2017 Results, UGC NET 2017 Results, UGCE NET Results, The Central Board of Secondary Education (CBSE) will announce the results for the University Grants Commission National Eligibility Test (UGC NET) 2017 on May 29, that is, today. The results for the exam, which was conducted on January 22, 2017, will be available on the official website of UGC NET @ cbsenet.nic.in. National Eligibility Test (NET) held on 22nd January 2017 (Sunday) for determining the eligibility of Indian nationals for the Eligibility for Assistant Professor only or Junior Research Fellowship & Eligibility for Assistant Professor Both in Indian universities and colleges. CBSE conducted NET in 83 subjects at 88 selected NET Examination Cities spread across the country. The UGC NET exam was conducted in three parts. In part 1, candidates had to answer 50 out of 60 multiple choice questions of 2 marks each. In part 3 contained 75 questions carrying two marks each. A process of “digital-scoring” has been used for the first time to calculate the results this year. The process of digi scoring was scaled up further at about 400 exam centres across the country for UGC-NET exam. OMR sheets were scanned at the exam centres itself and instantly stored at the central server of CBSE. The effort is to further increase this number to around 1900 plus centres during JEE test to be conducted in April this year. A total of 7.94 lakh candidates appeared for the exam, 4,500 of whom took the Yoga test. With the last dates over for downloading answer key and OMR sheet, candidates who had appeared for the NET January 2017 exam can expect their result anytime soon. Answer keys and OMR sheets had been released for CBSE NET 2017 (January exam) on 2 May. The Board has sought objections as well. The last date for downloading the scanned images of OMR sheets and the submit the challenges till 8 May 2017. The NET results will be released at cbsenet.nic.in as and when it is released. On behalf of UGC, CBSE had conducted the NET 2017 exam on 22 January 2017. The exam is held every year for determining the eligibility of Indian nationals for the Eligibility for Assistant Professor only or junior Research Fellowship & Eligibility for Assistant Professor Both in Indian universities and colleges. This year, the exam was held in 84 subjects at 90 cities across the country. Candidates should note that, the results will be available at the official website. Candidates will not be intimated individually about it. Online registration for CBSE NET 2017 had begun in October 2016. 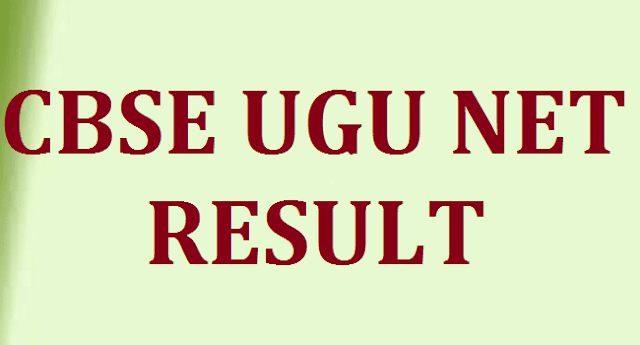 CBSE UGC NET January 2017 Results to be announced at cbseresults.nic.in on May 30: Central Board of Secondary Education will declare the result for UGC NET January 2017 exam on May 30. The UGC NET exam was conducted on January 22, 2017 . After the declaration of the class 12 results today, Central Board of Secondary Education (CBSE) will announce the result for UGC NET January 2017 exam tomorrow. The NET exam was conducted on January 22 this year. NET or National Eligibility Test is conducted for selection of candidates for JRF and is an eligibility test for Assistant Professorship. Students who qualify this exam are deemed eligible for the post of Assistant Professor at any college or university in India. The UGC NET exam is conducted by CBSE on behalf of University Grants Commission twice a year. The result will be announced on May 30 on CBSE's official results website. UGC NET exam consists of three papers out of which paper I comprises of teaching and research aptitude and general awareness questions, and paper II and paper III are subject-specific. Paper I and II carry 100 marks each and paper III carries 150 marks. Candidates who belong to general category need to score minimum 40% marks in both paper I and II and 50% marks in paper III. Candidates who belong to OBC-NCL, SC, and ST category need to score minimum 35% each in paper I and II and 40% in paper III. From those candidates who score the minimum qualifying marks, a subject-wise and category-wise merit list is prepared using the aggregate marks of all the three papers. Top 15% candidates from this list are declared as NET qualified. Another list is prepared for award of JRF from among the NET qualified candidates. #Go to the official website of the UGC NET exam (cbsenet.nic.in). #Click on the notification for the results, which will be available on the home page. #Enter your details in the fields provided to search for your results. #Download your results and take a print out of the same for further reference.